One of the UK's most well know footwear stores, Schuh has the latest exclusive styles from top brands, and now with a Schuh voucher code you can shop online and get great savings too! Whether you're looking for trainers for relaxing at the weekend, or smart shoes for the office, you'll find what you're looking for at the Schuh online shop. So, grab a Schuh voucher and get money off your next new pair of kicks! Schuh was created by Founding Director Sandy Alexander in 1981, with a single shop in North Bridge Arcade, Edinburgh. Schuh has now grown to be one of the UK's largest footwear retailers, stocking thousands of products from the worlds leading footwear brands, all of which are available at great savings when you use a Schuh promotional code. Schuh's head office is in Livingston, West Lothian, Scotland and their flagship store is located at 200 Oxford Street, London. Schuh's main competitor is Office. 2012 saw the launch of Schuh children, Schuh's first ever childrens range and an exciting expansion to the Schuh crew. Initially trialled in 20 stores, Schuh now has 3 stand-alone kids stores in Braehead, Liverpool and Lakeside. 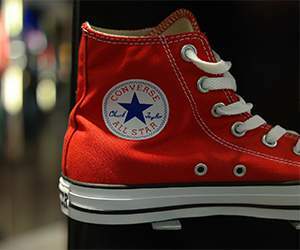 In 2013 Schuh opened a record breaking 19 new stores. Kingston, Hull, Whitely, Hanley, Carlisle, Basingstoke, The Gyle, Glasgow Fort, Glasgow Fort Kids, Blackburn, Teesside, York, Marble Arch, Swindon, Canary Wharf, West Bromwich, Jersey, Stirling and Wolverhampton. The future for Schuh promises to be even greater as they establish themselves as the UK's favorite shoe store. So if you've not tried them already, grab a Schuh promotional code and check them out today! Schuh's YouTube channel ShuhTV features the latest news on exclusive fashion footwear, seasonal advertising campaigns, behind the scenes videos and the latest from all the Schuh brands. Make sure to check out the channel before you use one of our Schuh discount codes. 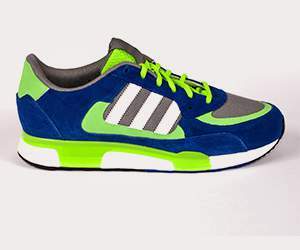 The Schuh online shop features the most well-known footwear brands from around the world. From Nike to Paul Smith, whatever your style, Schuh has you covered. Best discounts from the shoes category could be found on couporando.co.uk. Apart from Barratts, Cloggs, Debenhams and M and M Direct rank among the most popular online stores. Thanks to voucher codes and coupons you may grab unique opportunities. Shopping online with Schuh is easy. Simply follow these steps and make sure to use a Schuh discount code before you cheek out! Schuh uses secure couriers to make sure your shoes arrive to you safe and sound. A signature is always needed on delivery. Schuh offers an amazing range of shipping options from their online store, including click and collect and also Shutl, which gives you the option of having your items delivered in minutes rather than days! Collect+ Delivery Cost = FREE -Choose from over 5200 local corner shops to have your order delivered to. UK Store Delivery = Free - Have your order delivered to any Schuh UK Store within 2-3 working days for FREE. Please note: Your item must be returned in its original condition. If you have a question about your order or need some help you can find out how at the Schuh online customer service pages. You can even talk to someone live online with their Live Help service, simply click the Live Help tab to the right of the page. Schuh loves hearing from their customers, so whether you want some tips or advice before you use your Schuh promo code, or simply want to get involved in the conversation you can join them on all the popular social media networks. For shopping on the go Schuh also offers a handy iPhone app giving you access to their whole range in the palm of your hand. Make sure to use a Schuh discount code with your next purchase! Buy now online at www.schuh.co.uk. I don’t know about you, but I spend lots of money on shoes. But I’ve found two ways to soften the blow: shopping at Schuh.co.uk, and using a Schuh discount code to lower the price! Using a Schuh voucher code (which is free) is the easiest way to ensure that I’m getting the lowest price possible when shopping. I was able to save money on my entire by simply pasting in a Schuh promotional code into a box, and you can do the same! So don’t delay, and grab your Schuh discount code to start saving on kicks today!